Aquatic biomass are a promising source for bioethanol production as they can be grown in aquatic environments to avoid the competition with food crops on land. Research on bioethanol production from aquatic biomass is still at an early stage due to the technical and economic barriers. The first chapter of this book reviews various aquatic species, pretreatment methods, and processing techniques that were used for bioethanol production. 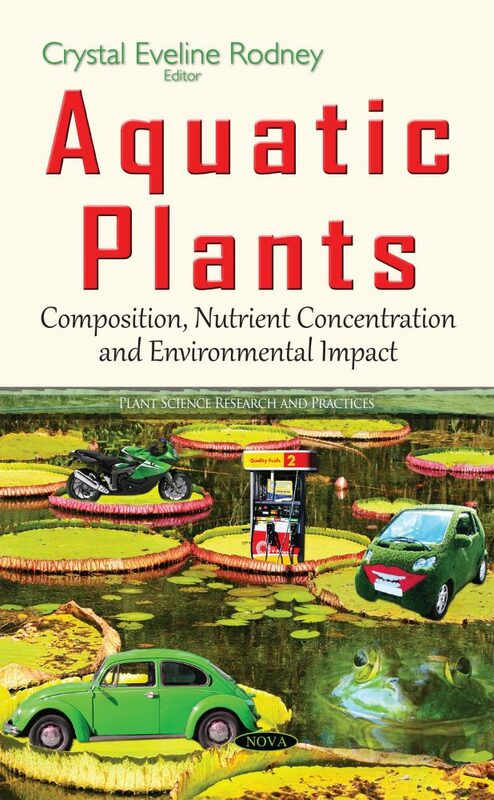 Chapter two reviews recent anaerobic digestion studies regarding to biogas production from different aquatic plants, the basic operations for biogas production from aquatic plants, reactor design issues, and operational parameters. Chapter three provides a brief review of literature related to water remediation potential of important aquatic plant species, mechanisms of aquatic macrophytes in nutrient and contaminant removal and water purification, and management of aquatic macrophytes for sustainable ecological remediation. Chapter four discusses the stress response of freshwater aquatic plants in particular oxidative stress responding to fluctuations in abiotic environmental stresses. The final chapter examines the catalytic fast pyrolysis of Lemnoideae spp. for production of industrious chemicals.